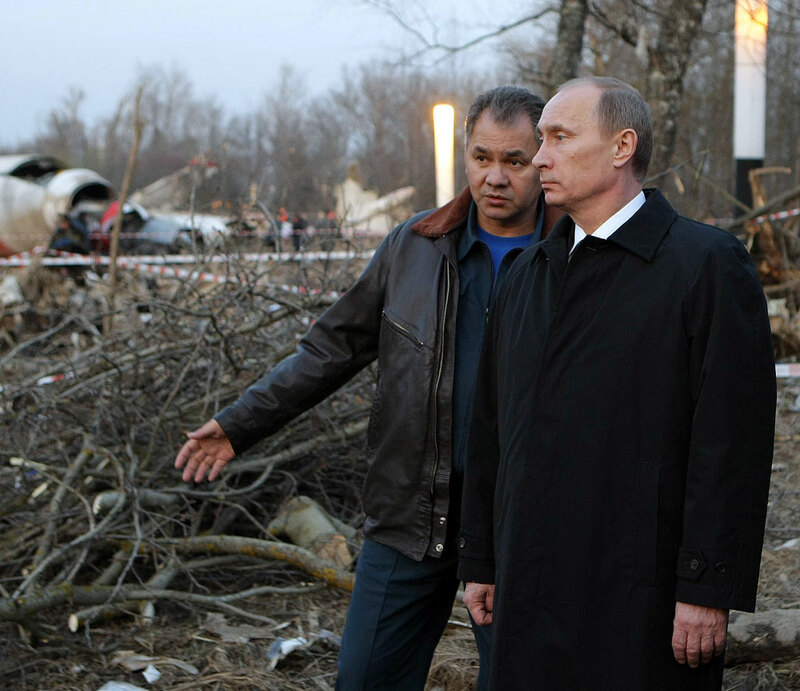 Russian Prime Minister Vladimir Putin, right, and Emergency Situations Minister Sergei Shoigu inspecting the Polish Air Force Tu-154 plane crash site near the Severny airport outside Smolensk, April 10, 2010. Moscow says comments by Polish defense minister are ‘unfounded’. The comments are unfounded and have nothing to do with reality, said Russian presidential press secretary Dmitry Peskov. "The public sphere is full of information citing our officials, the people who conducted the investigation, who studied the circumstances surrounding the plane crash," he said. "Based on all this, such declarations are unsubstantiated, are not objective and have nothing in common with the real circumstances of the tragedy." Macierewicz made the comments on March 12. The Russian parliament, the State Duma, also reacted to Macierewicz's remarks, with Chairwoman of the Duma Security Committee Irina Yarovaya describing them as "unacceptable." Russia's Investigative Committee, meanwhile, labeled the Polish defense minister's words as "stupid and ridiculous." The Polish president's Tu-154 crashed in a forest near the western Russian city of Smolensk in thick fog on April 10, 2010. Among the 96 victims were Lech Kaczynski and consort. There were no survivors. The Intergovernmental Aviation Committee in Moscow attributed the catastrophe to pilot error. The Polish side, after carrying out its own investigation, said that Russian dispatchers were partly responsible.